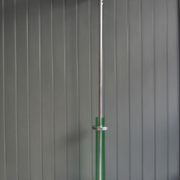 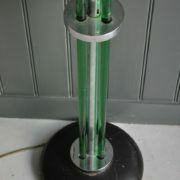 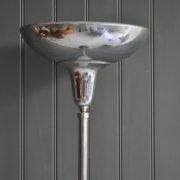 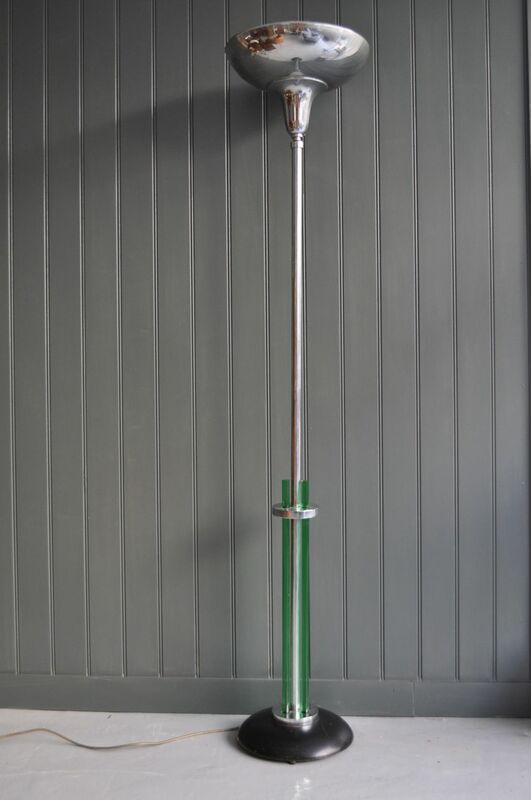 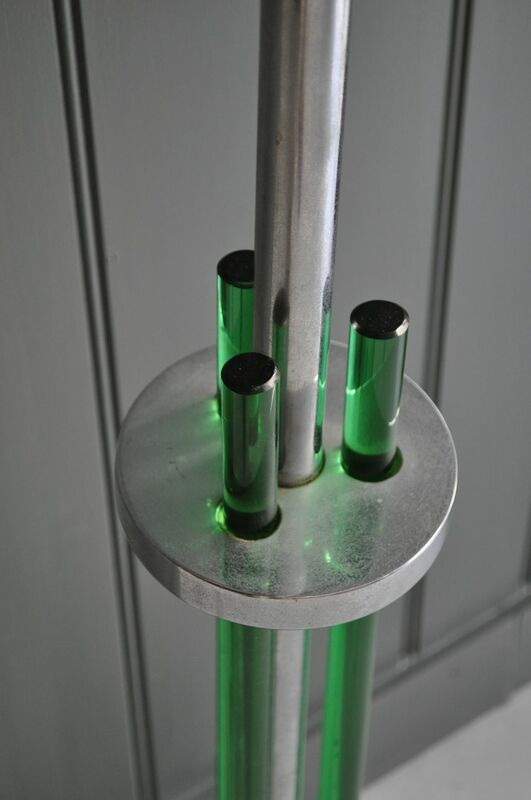 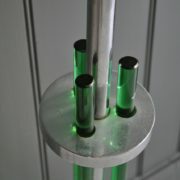 Stunning art deco chromed British uplighter, with lovely green glass rods to the lower half. 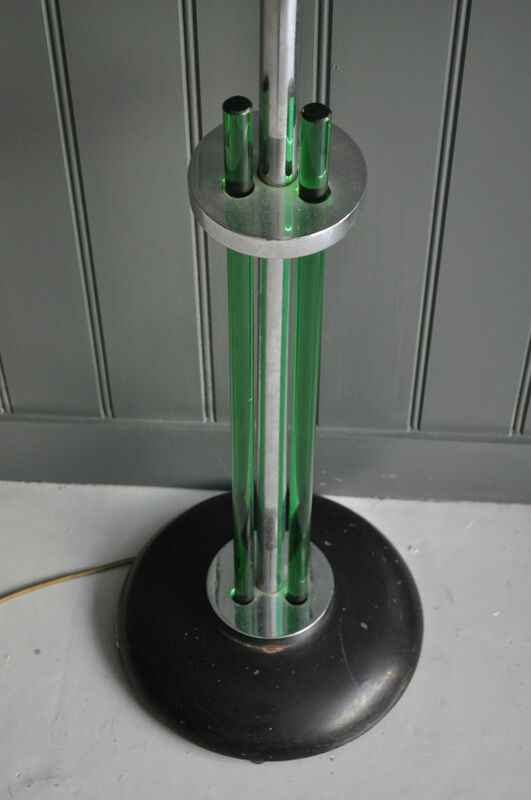 Original black paint to base, and working pull switch to the chrome shade. 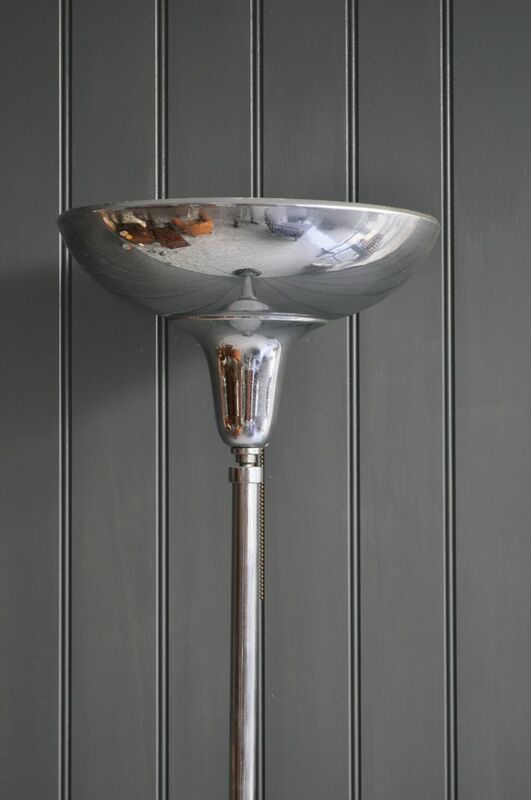 Very minor pitting to the chrome in keeping with age.